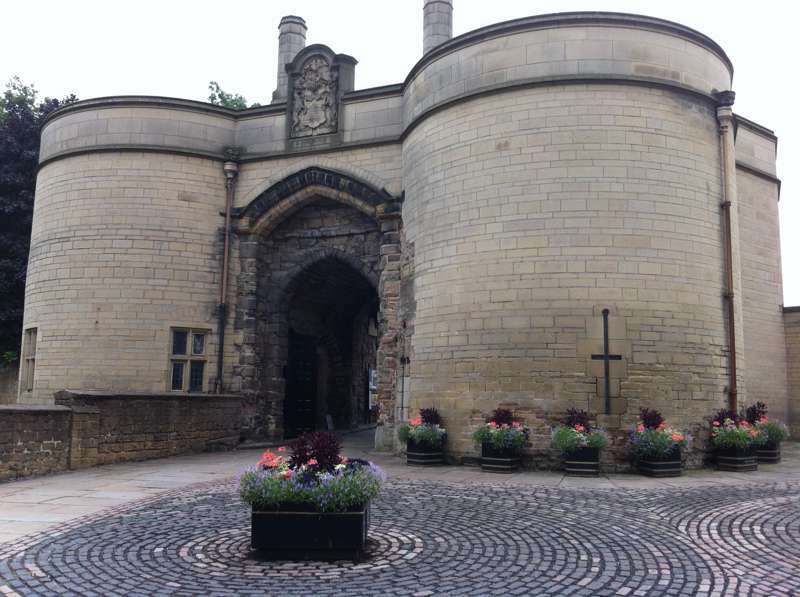 Some first–time visitors to Nottingham make a beeline for its famous castle, expecting battlements and towers, curtain walls and turrets – but they are in for a surprise: the original medieval fortress fell into disrepair in the late seventeenth century and it was replaced by the splendid, three-storey ducal mansion you see today. The castle was once a royal favourite, the equal of Dover and Windsor, and it was from here in August 1642 that King Charles I rode out to raise his standard and start the Civil War – not that the locals were overly sympathetic: hardly anyone volunteered, even though the king had the ceremony repeated on the next three days. Nowadays, the only reminder of the medieval fortress is the gatehouse, a much restored edifice protected by two circular towers. Beyond, immaculate gardens slope up towards the mansion, whose interior holds a really rather disappointing series of collections, though there is some compensation in the gorgeous collection of medieval alabaster statues displayed in the 'Story of Nottingham' section. You should also take a turn round the splendid Long Gallery, which concentrates on English painting from the late nineteenth and early twentieth centuries. Back outside, near the entrance to the mansion, two sets of steps lead down into the maze of ancient caves that honeycomb the cliff beneath. The set you want leads down into Mortimer’s Hole, a three-hundred-foot shaft along which, so the story goes, the young Edward III and his bodyguard crept in October 1330 to capture the queen mother, Isabella, and her lover, Roger Mortimer. The couple had already murdered Edward III’s father, Edward II, and were intent on usurping the crown, but the young Edward proved too shrewd for them and Mortimer came to a sticky end – but in truth, although the incident certainly took place, it’s unlikely that this was the secret tunnel Edward used.